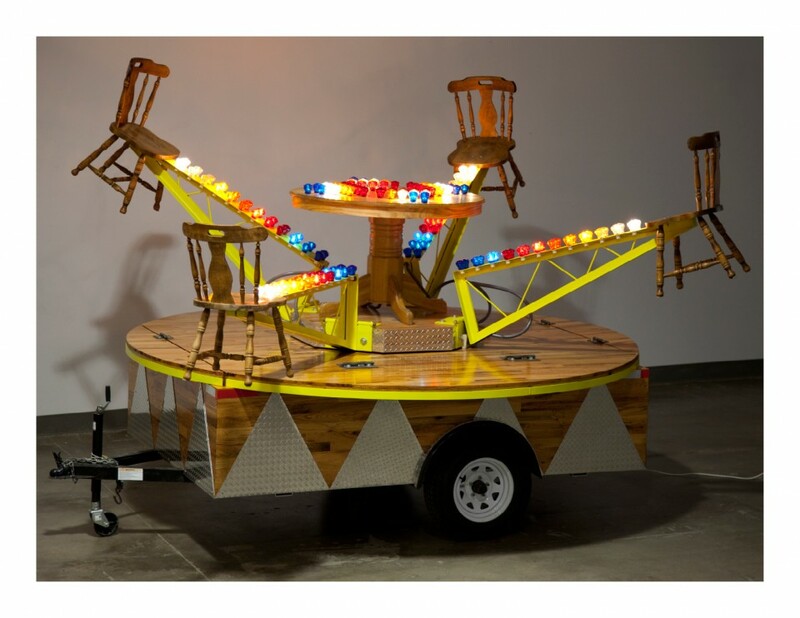 Domestic Carnival is an ongoing project that alters entire household rooms and re-presents them as flashing amusement park rides. 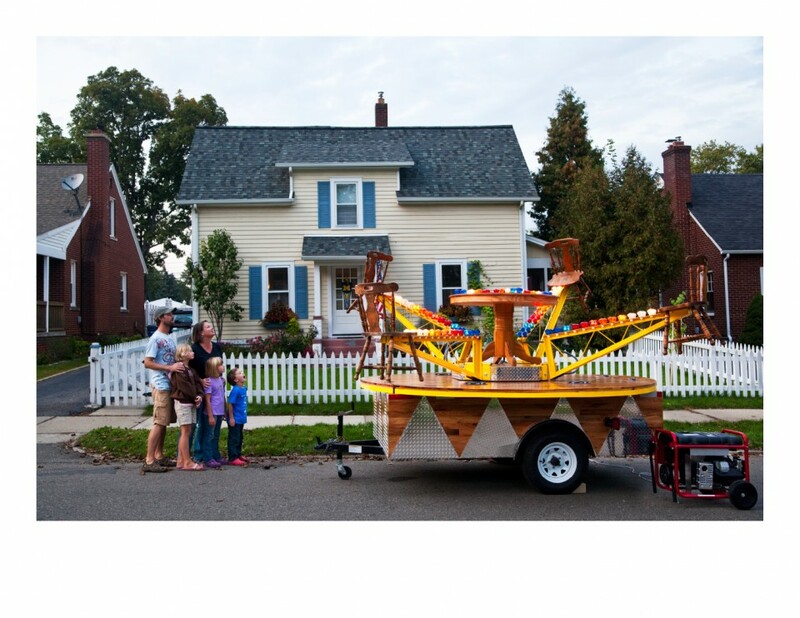 Ultimately this project will transform an entire family home into a traveling carnival: one room at a time. To begin, I have fabricated a sculpture that merges the psychology of a county fair with the intimate nature of the dining room. Pulsing lights, steel joists, and a generator were combined with a dining room table, chairs, hardwood flooring, and objects from the room. 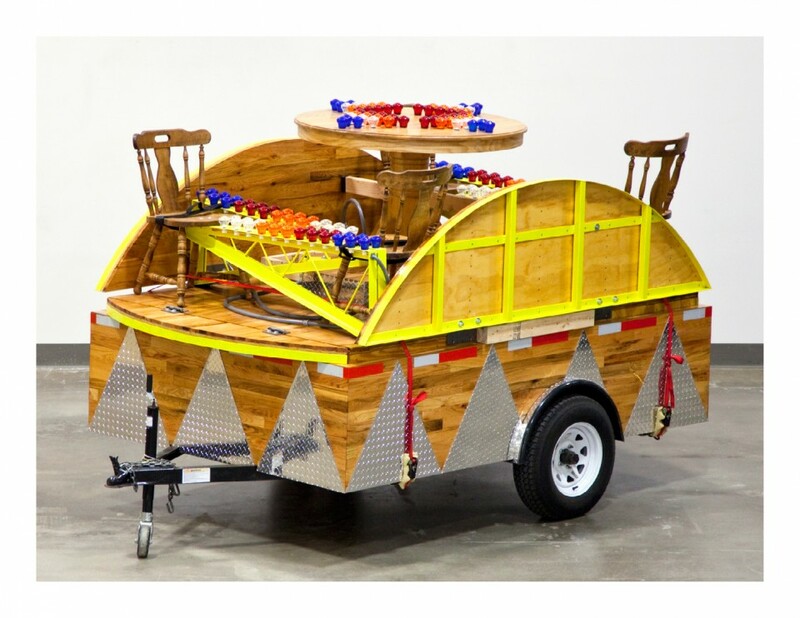 The apparatus is engineered like a carnival ride; the sculpture is mounted on a custom trailer that collapses for transportation to its next destination.